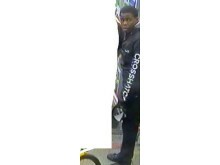 Detectives are appealing for information following an assault in West Ham. Police were called just before 18:00hrs on Tuesday, 17 April to reports of a fight at Star Lane Park in West Ham. A 17-year-old boy was found suffering from a slash wound to his right arm. He had been making his way home after finishing college with his friends, when he noticed a group of hooded males running towards them; one of them was waving a sword. His friends all ran off and he was chased into Birch Close, where he slipped and fell over. The group caught up, surrounded him and slashed him as he tried to defend himself. The London Ambulance Service took the victim to an east London hospital where he received several stitches before being discharged. 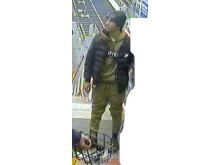 Suspect 1 [ref: 008726] is described as an Asian man, wearing a black hat, blue padded jacket over a green hooded top, green tracksuit trousers and brown shoes. 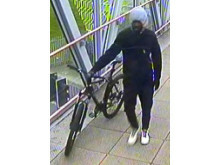 Suspect 2 [ref: 008728] is described as a black teenager, wearing a black jacket with ‘Crosshatch’ written down the left arm, black trousers and black shoes. Suspect 3 [ref: 008729] is described as a white man, with a short brown beard. He was wearing a green hooded jacket over a dark blue hooded top, blue jeans and white trainers. Suspect 4 [ref: 008730] is described as a black man with a beard. 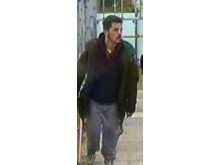 He was wearing a dark blue jacket over a grey hooded top, dark blue trousers and white trainers. Anyone with any information are asked to call detectives at Newham via 101 quoting reference CAD 6371/17Apr18 or tweet @MetCC. To call anonymously, please contact Crimestoppers on 0800 555 111.